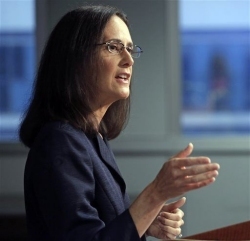 Attorney General Lisa Madigan and Cook County State’s Attorney Anita Alvarez announced the owner of a south suburban company has been named in consumer fraud lawsuits filed on behalf of senior citizens and homeowners who were defrauded out of thousands of dollars in deposits for electrical power generators that were never delivered or installed. The lawsuits, filed Tuesday in the Circuit Court of Cook County, allege that the contractor defrauded consumers primarily by taking deposits and failing to begin or complete the agreed upon work and failing to provide the purchased equipment, among other practices. Several senior citizens were also victimized, including one who needed the back-up electrical power of a generator to operate her oxygen machine. As a result of this scheme, affected consumers filing complaints with the Attorney General or the State’s Attorney’s Office claim to have lost a combined total of more than $73,000. Named in the lawsuits is Kevin Hart, the owner and operator of Cedar Electric Generators LLC, and Choice Generators, both at one time located in Illinois. Both companies were owned and controlled by Hart, a formerly authorized dealer of brand name generators. The lawsuits allege that Hart obtained substantial deposits from unsuspecting consumers then often failed to deliver the services or equipment he had been contracted to provide. Hart is also alleged to have assessed fraudulent fees against customers who sought to cancel their contract and failed to return deposits after receiving notices of cancellation. In addition, it is alleged that Hart intentionally failed to provide clients with a viable business address. Assistant Attorney General Greg Jones is handling the case for Madigan’s Consumer Fraud Bureau.